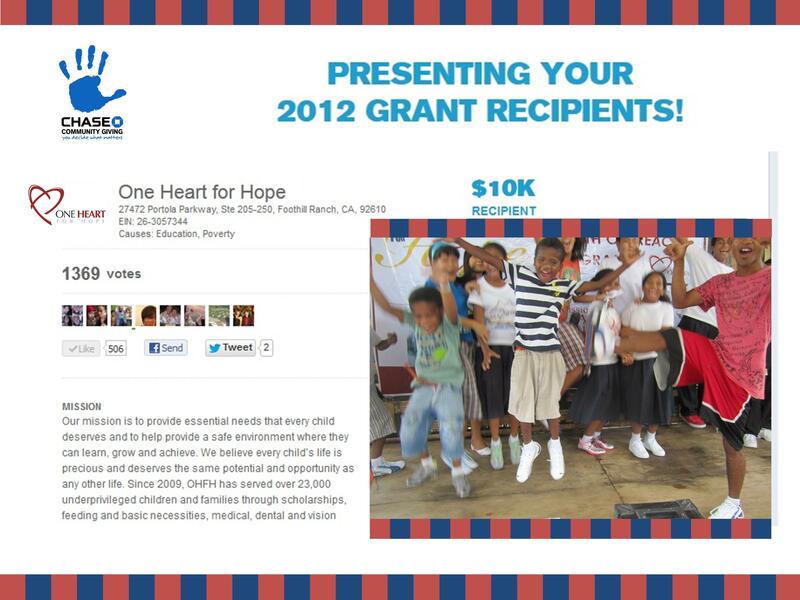 ​One Heart for Hope was incorporated in October, 2008 as a non-profit public benefit corporation in the State of California and is a recognized U.S. charity, registered under Section 501(c)(3) of the Internal Revenue Code. From its inception, the Foundation has served over 67,000 underprivileged children, as well as children of Filipino ethnic minorities through gifts of education and basic necessities, feeding programs, medical, dental and vision missions, and health awareness programs. In addition, it helps families by way of livelihood assistance, portable solar light campaign to communities without access to electrical power, and relief aid during emergency disasters. The Foundation also continues in its mission to provide assistance to fishermen, whose livelihoods were ruined by the recent calamity by providing fishing boats. It is operated by a dedicated team of volunteers in the United States, with over fifty volunteers in the Philippines fulfilling its mission - TO GIVE BACK. 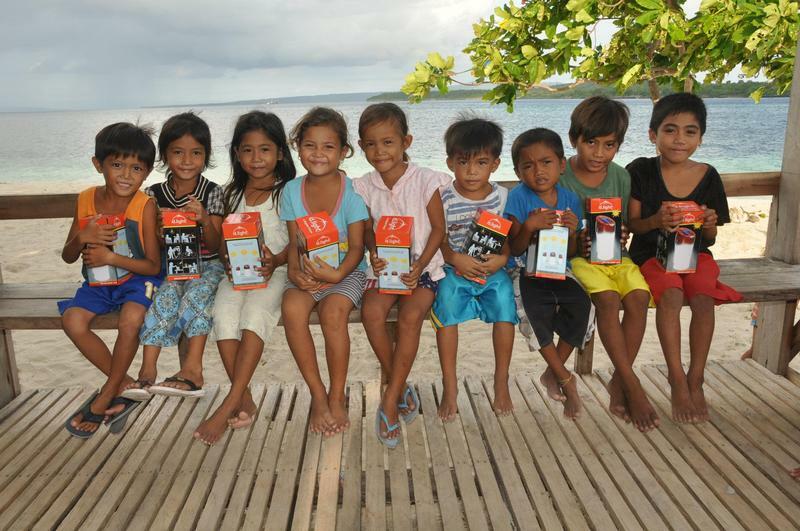 “Give Light, Improve Life” campaign, solar lights provided to children and families living in remote areas that do not have electricity for more effective and environmentally friendly lighting system. A recent report from the World Bank also showed positive effects of solar lighting on education and learning in many inhabitant villages around the world. 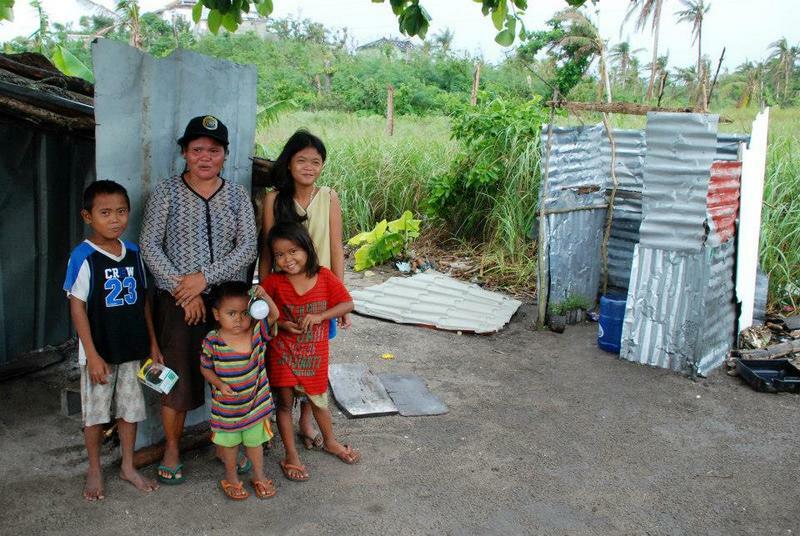 In collaboration with d.light design USA, Nokero and AsiaConnect,Inc, Philippines, One Heart for Hope has been helping thousands of families during the typhoon Haiyan. 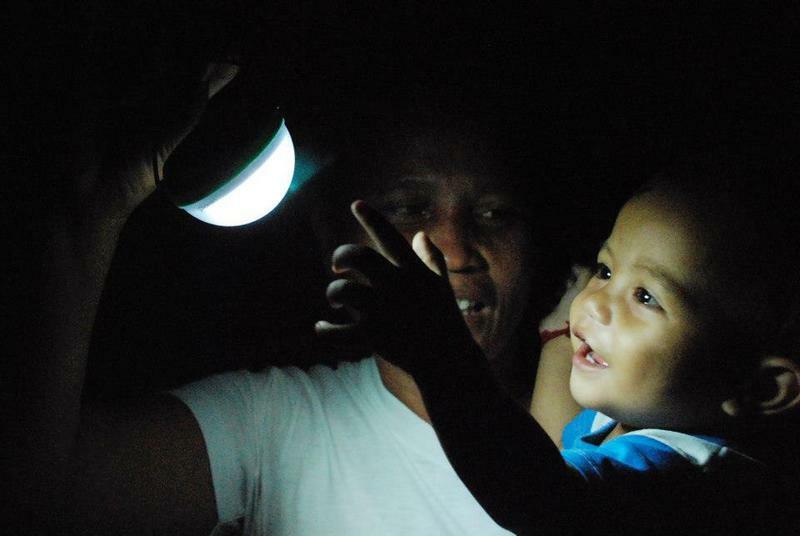 Over 15 million Filipinos still have no access to electricity, according to a recent study by the World Bank and the Australian Agency for International Development. Students are still relying on kerosene lanterns or candles to study at night. Families spend as much as 30% of their income on kerosene which are unsafe, uneconomical, and pose serious threats to health especially to women and children due to indoor air pollution.